It’s chaos. The red panda (Ailurus fulgens), despite its name, is not a bear or even a close relative. Instead they are the only extant species in their genus and in the family Ailuridae. I refuse to use the phrase living fossil but I suppose it applies. 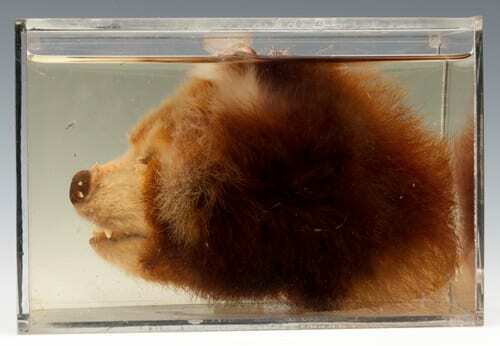 The family sits within the superorder Musteloidea and so red pandas are considered much closer to otters, badgers, weasels, racoons and skunks. 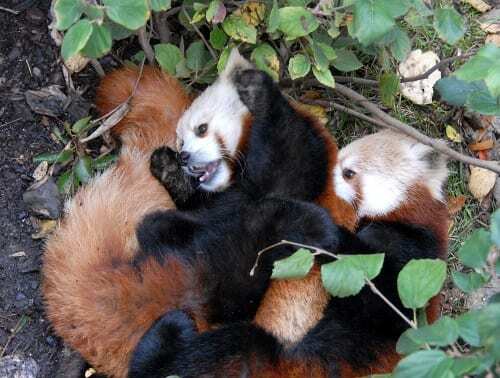 Like giant pandas, however, red pandas cannot digest cellulose yet feed almost exclusively on bamboo. It comprises approximately 98% of their diet so they need to forage obsessively to obtain the necessary nutrition. They vary their meals where possible, occasionally eating flowers, fruit, mushrooms, insects and small vertebrates but spend the vast majority of their time awake climbing trees and chewing stalks. 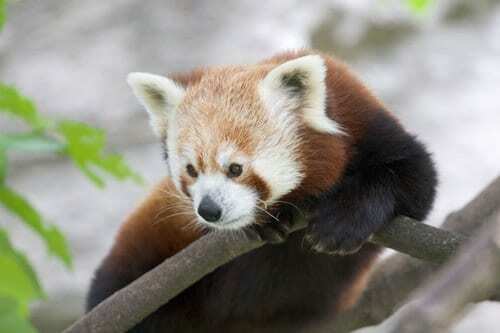 Red pandas are solitary animals native to the temperate forests of the Himalayas. They maintain strict territories, marked with urine, and only socialise during the breeding season which runs from January to March. Females give birth during the subsequent summer to a small litter of up to four blind and totally helpless cubs. The cubs develop rapidly, becoming independent when their mother breeds again and usually breeding themselves in their second year. Red panda cubs. Image by Jonathan L Kang; CC BY-SA 2.0; via Wikimedia Commons. The IUCN estimates that red panda numbers have “plausibly halved” over their last three generations (18 years). It is very difficult to accurately survey their numbers however the evidence suggests that there are probably fewer than 10,000 left in the wild. There may be many less. This is a drastically steeper decline than would be expected if we just considered the reduction in size and quality of available habitat so the picture must be more complex than it first appears. A number of factors have been suggested. It seems, for example, that red pandas are still widely hunted. People kill them for their fur, their meat, to use in traditional medicines and many are also taken alive as pets. They are also susceptible to canine distemper which is highly contagious and lethal to them. This virus, a close relative of human measles, circulates in local domestic dog populations so increasing contact as settlements expand will only exacerbate panda infections. Bush, M. and M. Roberts. 1977. 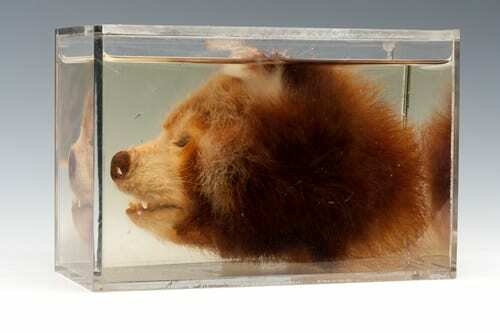 Distemper in captive red pandas. Int. Zoo Yearbook 17:194–196.